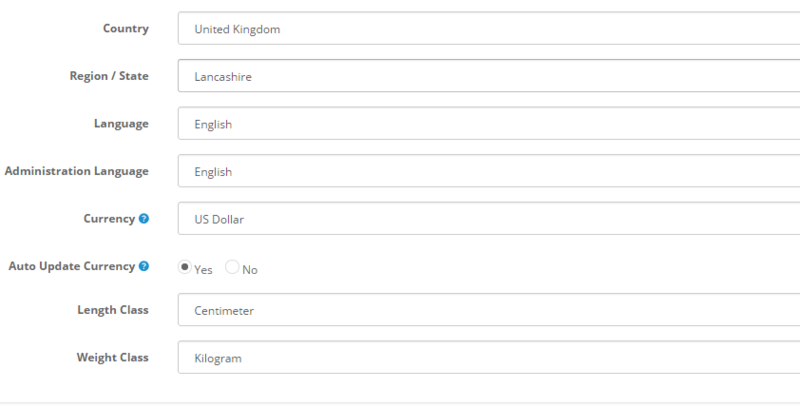 The localization settings of OpenCart 2 allows you to configure your store geo settings including your store country, region, language and currency. 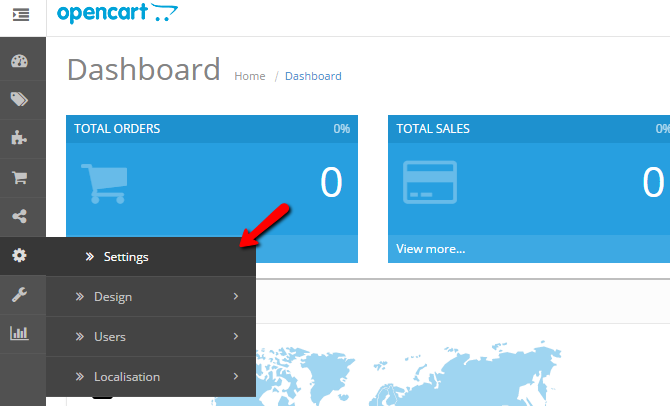 To access the localization settings of OpenCart 2, please refer to the admin dashboard of your store and navigate to the settings menu. From the stores list click on the edit icon next to your store name and refer to the Local tab on the settings page. Please make sure that your Currency, Length and Weight class are properly set depending on the targeted customers and the geo region in which your store operates. When you are ready with your settings, click the save icon at the top right corner of your screen.